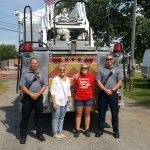 When Pigs Can Fly Fundraiser is an event that happens out at the annual Rib Fest at the Van Wert County Fairgrounds. It is on Saturday, August 4th, 2018 this year. The Rib Fest this year is the 3rd and 4th of August. 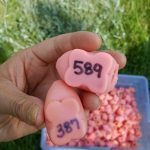 Last year was a great success selling out at 600 pigs! Below are a few photos from the event.